Telecom service delivery inefficiencies can drive up service times and costs. 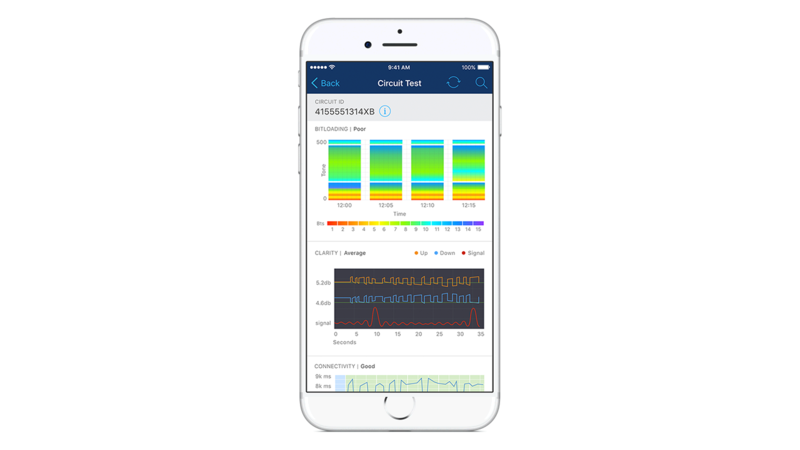 IBM MobileFirst for iOS Network Check enables field technicians to connect and test the service performance of communication lines more easily than ever before using mobile access to system test systems. Using the app, field technicians can monitor line speeds or request diagnostic tests from their mobile device to quickly rectify service quality issues in the field. Work order information can also be used to establish the service context as the app connects into the networks for testing. Gain a better understanding of service needs by capturing performance data and using cameras and video to document on-site conditions. Access network-based testing tools to avoid manual communication line testing and speed service quality issue resolution. Use work order data to set the context for app connection testing and gain insight into next best actions, and preventive or predictive maintenance opportunities.